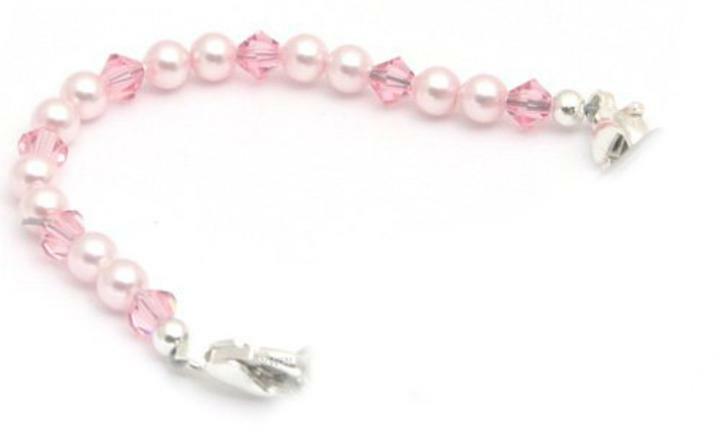 Our precious pink pearls beaded medical id extra interchangeable bracelet is great for any girl, young child, teen or even an adult. This sweet and elegant extra beaded medical id bracelet band is composed of pink pearls and pink swarovski crystals, sterling silver rounds and lobster clasps on each end. This is for the band only, medical id plate not included. Do not enter the size you need including the plate, this is for the extra beaded medical id alert band only.